Former All-Star and Padres Pitcher Kevin Brown can add another title to his already-long résumé — neighborhood watchman. After twice seeing thieves stealing his mail on his security camera at his Macon, Georgia home, Brown then saw the alleged thieves rolling up his neighborhood again. This time, he was ready. Brown was hiding behind a bush to catch them in the act, according to The Telegraph in Macon, Georgia. Brown held the two suspects at gunpoint until deputies arrived and arrested them. They were identified as Jeremy Carlton Brown Jr., 30, and his 15-year-old bother. The suspected thieves have no family relation to the retired pitcher. Bibb County Sheriff’s Office deputies recovered more than $3,000 in cash and more than $16,000 in checks belonging other people, The Telegraph reported. 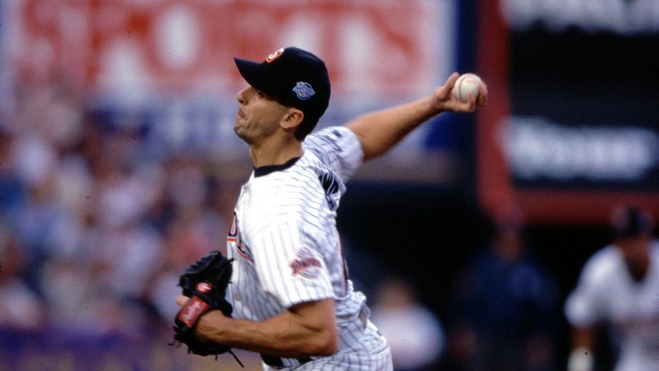 Brown pitched for the Padres for one season where he helped lead them to the World Series in 1998. That World Series run was credited with helping the Padres passed a ballot initiative to secure public funding needed to build Petco Park. Brown became a free agent in the next season and signed with the Dodgers for a then-unprecedented $105 million seven-year contract. He retired from baseball in 2006 after playing for the Yankees for three seasons.